There is a very interesting call for proposal from this project- Climate Clock Global Initiative. The Climate Clock Global Initiative is seeking ideas from artist-led teams to create a major artwork entitled Climate Clock, which will measure changes in greenhouse gas levels, and be the first in a series of global projects calling attention to climate change. Climate Clock will be an instrument of long-term measurement and will collect data for 100 years. The artwork will be located in downtown San Jose, California, Silicon Valley’s city center, and will be a collaboration between an artist-led team composed of artists, international and Silicon Valley engineers and other creative professionals who are working with climate measurement and data visualization. It is anticipated that the budget for the construction of Climate Clock will be between $5 and $15 million, depending upon the scope of the final proposal. And I had been to their first 01 Sj Art Festival in 2006. I am amazed by the momentum of the creativity in art and technology in Sj- Capital of Silicon Valley. 01SJ is North America’s largest festival of digital arts and will showcase more the 100 projects. To feature new works from an international roster of artists and performers at the cross-section of contemporary art, technology, and culture, the five-day Festival will incorporate exhibitions, films, concerts, performances, happenings, and nightlife occurring throughout downtown San Jose’s parks, public streets, museums, theaters, and clubs. In its second biennial manifestation, the 01SJ Festival is becoming a signature event for San Jose and all of Silicon Valley as an international gathering for the arts and culture that embraces cutting edge innovation, technology and expression. ZER01, the organization producing the 01SJ festival, and its partners and sponsors see Silicon Valley’s largest city as the natural venue for this Global Festival of Art on the Edge. “As the creators of 01SJ, ZER01 is pleased the Festival continues to evolve as an international event,” said Andy Cunningham, founder of ZER01. “When art is combined with technology, it magnifies the creativity of both sides—creating a window into the future of what’s possible with both art and technology. Because San Jose is the epicenter for digital technology, it is the perfect place to have this festival and is now a key stop on the global cultural circuit,” said Cunningham. Fresh from a successful run at the Tribeca Film Festival, Paul D. Miller, AKA DJ Spooky, the New York-based hip-hop recording and multi-media artist, will present his next major work, Terra Nova: The Antarctic Suite, an acoustic portrait of a rapidly changing continent. It transforms Miller’s encounter with the harsh, dynamic landscape into multimedia portraits with music composed from the different geographies that make up the land mass. World-renowned Australian artist Craig Walsh has been commissioned to create the third City Hall Rotunda lighting for 01SJ. At the first Biennial 01SJ festival, Akira Hasegawa presented the first Rotunda lighting, Digital Kakejiku. Camille Utterback’s interactive Abundance project was presented in September 2007. Other artists whose works will be showcased include: Cory Arcangel, Jim Campbell, Bruce Charlesworth, Daryl Cloran, Paul DeMarinis, DJ Spooky AKA Paul D. Miller, Anita Doron, Toni Dove, R. Luke DuBois, Kota Ezawa, Daniel Faust, Free Soil (Amy Franceschini, Corrine Matesich, Nis Romer, Stijn Schiffeleers, Adam Wight), Jason Freeman, Genevieve Grieves, Mateo Guez, David Haines, Joyce Hinterding, Shih Chieh Huang, Lynn Hershman Leeson, Jane Marsching, Jennifer + Kevin McCoy, Mongrel (Graham Harwood, Richard Wright, Matsuko Yokokoji), Adam Nash, Ed Osborn, Qiu Zhijie, Red 76 (Sam Gould), Favianna Rodriguez, Rova, Eddo Stern, Lían Amaris Sifuentes, Piotr Szyhalski, Terreform (Mitchell Joachim), Rubén Ortiz Torres, Craig Walsh, Marina Zurkow. 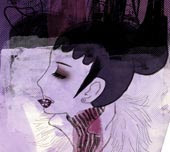 For more information about 01SJ and the nearly 100 projects to be featured at the Festival, please visit, www.01sj.org. Tickets to the festival are available at www.01sj.org/tickets. Passes are $15; Early bird specials – 20% discount or 2fer ticket offers are available now through April 15. 01SJ is North America’s newest and largest festival of digital arts, and a great deal more. From a hip-hop, multi-media meditation on Antarctica to robot art, from conversations with artificial intelligence to operatic performances of Google headlines about the environment, from avant-garde cinema to new musical forms – more than 100 projects will be featured at 01SJ. Festival organizers expect it to be a perspective-altering experience that entertains, enlightens, educates, and involves attendees in a new understanding of our changing world. 01SJ is made possible in large part through major sponsorships from two visionary companies: Adobe Systems and Cisco Systems, as well as the City of San Jose. Other leading sponsors include 1st ACT Silicon Valley, the David and Lucille Packard Foundation, William and Flora Hewlett Foundation, GlobalFluency, Hotel Montgomery, the James Irvine Foundation and Liquid Agency, as well as SAP Labs U.S., the Andy Warhol Foundation, the Morgan Family Foundation, Nancy Mueller and Robert Fox, Australian Visual Board, Salas O’Brien Engineers, DMNA, DLA Piper, Delgadillo & Associates Inc., Metro News, McKenzie Event Management, Fry’s Electronics, and Theater Publications. The Festival is produced by ZER01and is affiliated with the City of San Jose, Montalvo Art Center - Artist Residency, San Jose Convention and Visitors Bureau, San Jose Museum of Art, San Jose State University - CADRE Laboratory for New Media, The Tech Museum of Innovation, and Camera 12. More than 40 other organizations and institutions are involved in the Festival production. Many of the works featured at the festival will be exhibited at museums and art galleries throughout the city’s downtown area during the summer months of 2008. I always compare the new media art development in developed country and a little behind cities. Can Budapest compare to HK? Will our telecom company sponsor a new media art space ? I envy what I read. I usually do not want to deal with human / moral issues in my blog but this is really an exception. Tomorrow, The HK & Shenzhen Bi-city Biennial of Urbanism/ Architecture will be the last day. While you are in Central, you can also visit Art Statements to see the show. Asia Triennial Manchester (ATM08) opens 5 April -1 June 2008 in Manchester and is conceived by Shisha, the UK’s premier international agency for contemporary South Asian crafts and visual arts, in partnership with Castlefield Gallery, Chinese Arts Centre, Cornerhouse, The International 3, Manchester Art Gallery and Manchester Metropolitan University. Exploring the theme of ‘protest’ in its widest sense, ATM08 presents a range of views and perspectives on Asia and Manchester in the 21st century - echoing Manchester’s radical political and social history, reflecting new artistic practice and seeking resonances between Manchester and Asia. Through a framework devised by Shisha, each of the partner venues has used the theme as a starting point to create their own individual exhibitions and residencies. Hong Kong comic artist Kongkee explores his interest in social interactions and sense of place through his striking comic style drawings and animations. For his residency at Chinese Arts Centre as part of ATM08 and Tatton Park Biennial 2008, Kongkee will work with Manchester s elderly Chinese community inviting them to share their perceptions of the city. Using his findings, Kongkee will create new works documenting his journey through the real and imagined Manchester. This news about HK Art Fair is posted last month.I am a bit disappointed to see the small list of exhibitors but really look foreward to the show curated by Sabrina Fung. Hong Kong, Monday 4 February 2008 - On the 14-18 May 2008, Hong Kong will host its first truly international public art fair in a decade. ART HK 08 will be held at the Hong Kong Convention and Exhibition Centre (HKCEC) and will firmly establish Hong Kong's position as the centre of the art market in Asia. ART HK 08 will showcase 80 of the world's leading contemporary and modern art galleries and exhibit works for sale as varied as Picasso, Warhol, Zhang Xiaogang, Xu Bing and Damien Hirst. Household names will sit alongside the stars of the current Chinese art scene as well as many emerging and exciting new artists from across the world, some that have never before been shown in Asia. ART HK 08 is set to become a major fixture on the international art calendar. The event is well placed to attract not just Western collectors seeking Asian art but also Asian collectors seeking blue chip and emerging Western art, for which there is a growing demand. ART HK 08 is open to the public and welcomes browsers, first time buyers and serious collectors with a range of pieces to suit all budgets. ART HK 08 has a strict exhibitor application policy to ensure the quality of the event and has an impressive advisory committee of art world luminaries led by Charles Merewether who was Curator and Creative Director of the Biennale of Sydney in 2006. ART HK 08 is delighted to announce the support of Sir David Tang who has been named as Honorary Patron of the Fair. Commenting on his involvement he said; "I am delighted to be Patron - to stress the importance of visual art in our lives". The gallery heavyweights who have already made it through the vetting process include Max Lang, New York; Yvon Lambert, Paris/NY; Galerie Eva Presenhuber, Zurich; Marlborough Fine Art, Albion and Bernard Jacobson, London; Pekin Fine Arts, Galleri Faurschou and Michael Schultz Gallery, Beijing; East Link, Shanghai; Hanart and 10 Chancery Lane Gallery, Hong Kong; Kukje, PKM and Gallery Hyundai, Korea; Ota Fine Arts, Roentgenwerke and Nanzuka Underground from Tokyo. Hong Kong is the third largest art market in the world after New York and London by auction turnover. Hong Kong's status as a freeport also gives it a clear advantage over many other locations in Asia with no tax on the import or export of art, unlike mainland China which has a punitive tax of 34%. It is also positioned in the heart of Asia, within easy reach of not only mainland China but also the seasoned art collectors of Taiwan, Korea, Singapore and Japan, all of which ART HK 08 is seeking to attract. Charles Merewether, Chairman of the Advisory Group commented; "Art fairs have become a barometer of current trends and have increasingly set the pace as to what is valued in both modern and contemporary art. They have become a vital meeting place for galleries, dealers, curators, artists, academics, collectors and as much as an opportunity for those who have a passion to see art from around the world. With the advent of ART HK 08, Hong Kong is once again firmly establishing itself as the centre of the art market in the region and the crossroads of exchange between the countries of Asia, Western Europe and the Americas." 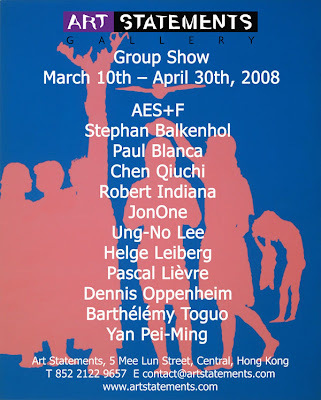 Magnus Renfrew, Fair Director of ART HK 08 commented; "ART HK 08 is a very timely event. Hong Kong is currently going through a cultural renaissance with significant central funding in the arts to support the sustainable development of the city. ART HK 08 is a major cultural step forward for Hong Kong and will be one of the most significant arts events to ever take place in the SAR." In addition to the buying and selling that will go on at the Fair, the event will also be an important catalyst for increasing interest and enriching knowledge of the visual arts in Hong Kong. There will be an impressive line up of installations and features, including a curated exhibition of often overlooked Hong Kong artists' led by Sabrina Fung, curator of the Hong Kong Pavilion at the Venice Biennale in 2005. The Fair will also include a comprehensive education programme including a programme of talks run by of the Asia Art Archive, the non-profit research centre in Hong Kong dedicated to visual art from the region. Magnus Renfrew's role as Fair Director follows a year running celebrated art patron Pearl Lam's gallery Contrasts in Shanghai. Renfrew was also instrumental in bringing to fruition the highly successful first London sale of Contemporary Asian Art at Bonhams in June 2006. ART HK 08 is a collaboration between Single Market Events, the organisers of London Fashion Week and The British International Motor Show; Will Ramsay, CEO of the PULSE Contemporary Art Fairs and Andry Montgomery who has been hosting exhibitions in Hong Kong and China for twenty years. A list of galleries and images are available on request. • Stephanie Dieckvoss - Fair Director (Europe). Previously Fair Manager Frieze Art Fair, with over 10 years experience in the contemporary art world. Worked for galleries internationally including Galerie Karsten Greve Cologne, Paris, St Moritz, and Gagosian Gallery New York. • Dr Charles Merewether - Chairman of the Advisory Group, has just been appointed Deputy Director, Cultural District for the Tourist Development and Investment Company, Abu Dhabi. An art historian, writer and curator, Charles was previously Consultant for the Emirates Foundation in the UAE and Artistic Director and Curator of the 2006 Sydney Biennale. He is currently writing a book on the cultural history of looting, and another on Postwar photography in Japan and preparing an exhibition on Chinese artist Ai Weiwei. The Advisory Group includes: Mary Dinaburg (Founder and Director Dinaburg Arts LLC, Co-founder Fortune Cookie Projects), Philip Dodd (ex Director of Institute of Contemporary Art, London and currently Creative Director of the China Now Festival, UK 2008), Elaine W. Ng (Editor of Art Asia Pacific), Howard Rutkowski (Co-founder Fortune Cookie Projects) and Will Ramsay (CEO of Pulse Contemporary Art Fairs), Jean-Marc Decrop (Collector of Contemporary Chinese Art). "40+4, Art is not enough! Not enough!" Chinese contemporary art beyond the global market. This is a crucial moment in China’s search for cultural identity as it strives to reconcile the weight of tradition, a troubled recent socio -political history and the rapid entry into the western-style global economy. The most visionary contemporary art in China attempts to shape the future in the light of the past... In a very short space of time China is experiencing a process that in Western culture evolved slowly over centuries. But just as the Florentine Renaissance of the fifteenth century led to the emergence of the city by its use of culture as a vital channel of communication modern China is investing extensively in the development of a cultural infrastructure and in its promotion abroad. The exhibition presents a lively interchange between the curators’ three sections, representing three distinct but complementary attitudes and perceptions. Zhang Wei, the curator from Guangzhou, in “Throwing Dice”, brings together artists of different backgrounds, training and modes of expression. Zhang Wei presents individual visions of human existence in a fragmented and constantly changing world. The videos of Kan Xuan, Pak Sheung Chuen and Yang Fudong (acclaimed in the most recent Venice Biennale), digital animations by Cao Fei (also present at the Biennale), technological installations by Chu Yun, and paintings by Duan Jianyu offer individual stories that engage the spectator in the exploration of a shared existential landscape and in the constant tension between the world of dreams and of reality. Questions of geo-political identity and cultural relativism are the focus of “Multi-Archeology”, the section curated by Li Zhenhua. Installations by the Mongolian artists Wu Ershan and Ren Qinga, highlight the often conflictual relations between the different cultural groups in China today and pose questions about the undermining of the individual in the face of social upheaval. Both installations, created especially for the exhibition in Florence, take as their theme the human condition in the face of an uncertain future. The art video by Zhao Liang and Shen Shaomin documents the situation on the Chinese border with North Korea and Russia. An analysis of the consequences of the Mongolian invasion by Genghis Khan on Asiatic culture is compared to the impact of modern globalisation, in the constant cultural interchange between East and West. Questions by: Lothar Spree, Davide Quadrio, Zhu Xiaowen, Huang Kui, Li Xuehui, Zhang Enli, Xu Jie.